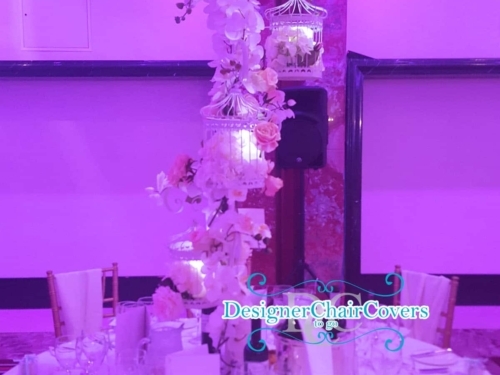 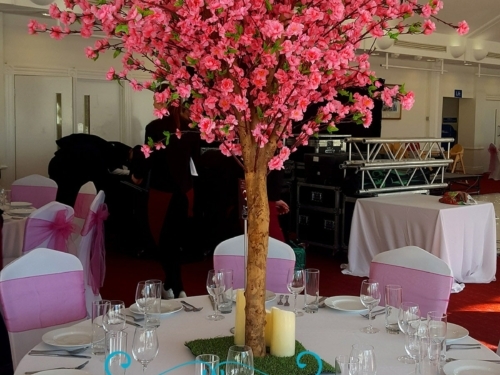 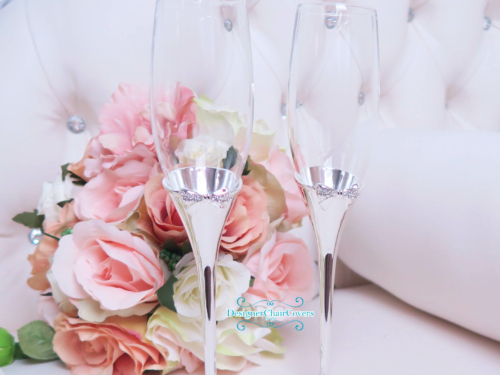 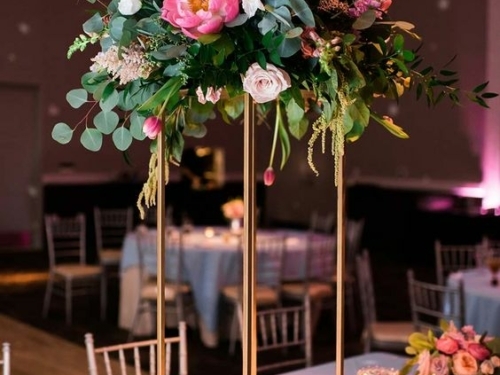 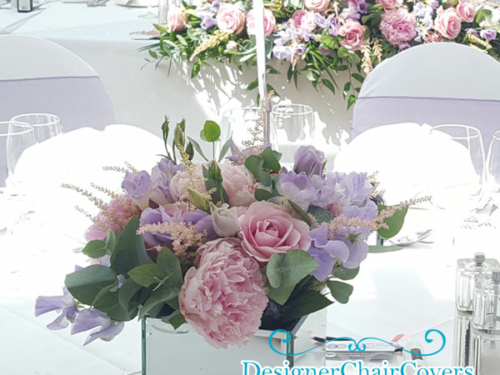 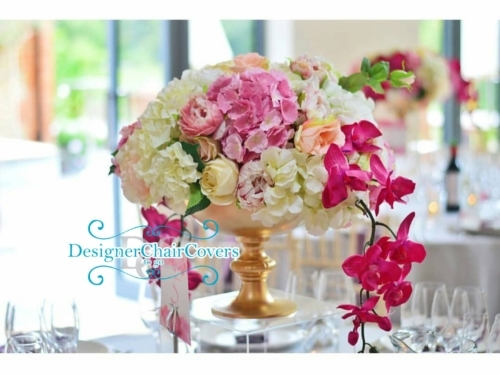 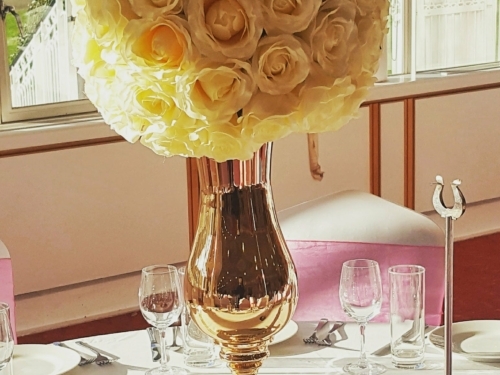 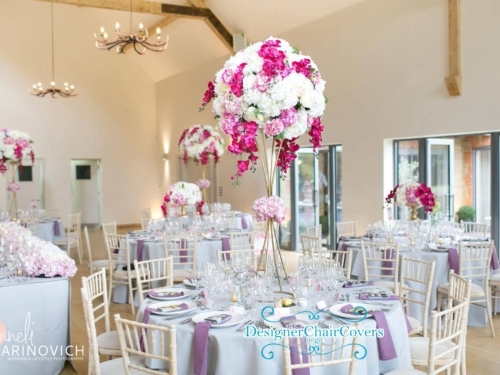 Our wonderful selection of striking centrepieces work well to create pretty table displays at your venue. 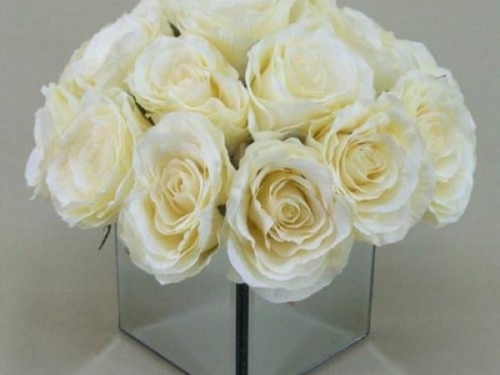 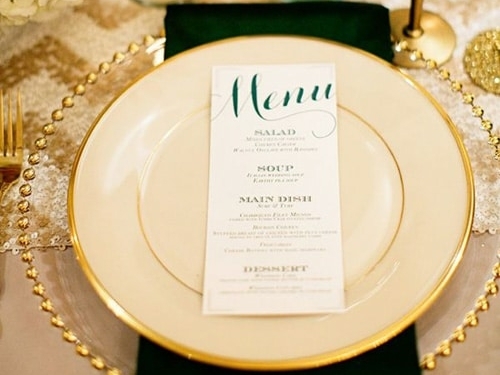 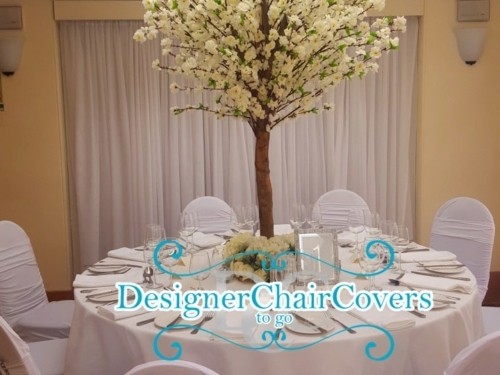 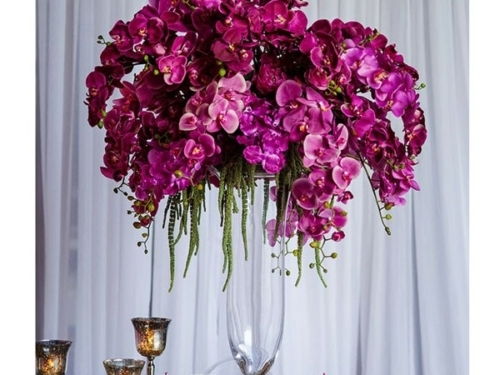 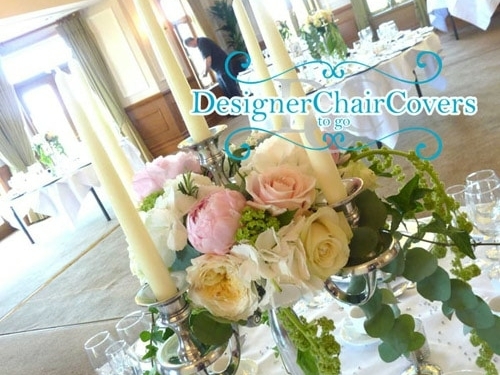 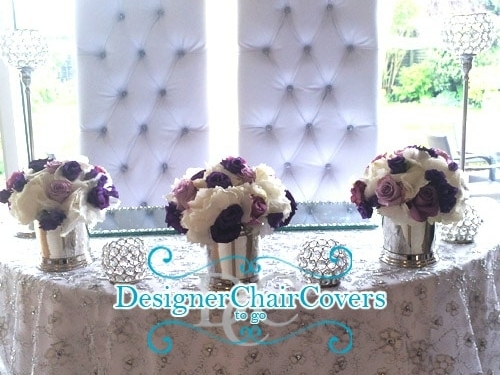 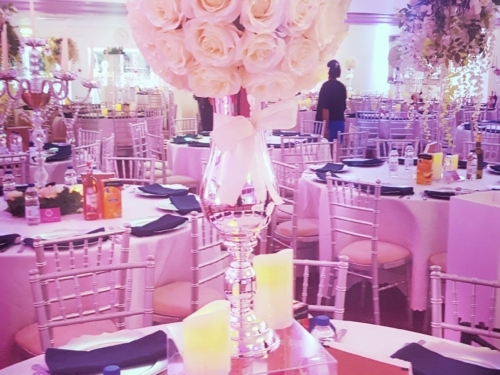 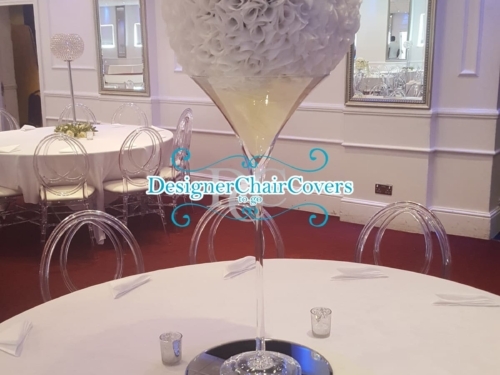 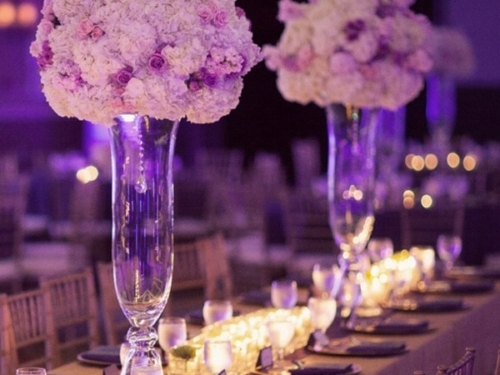 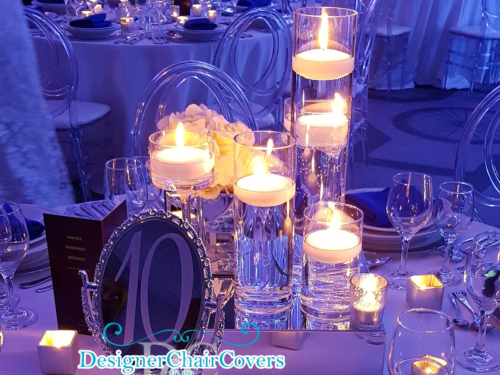 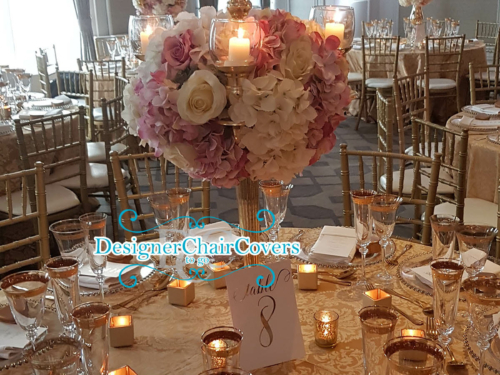 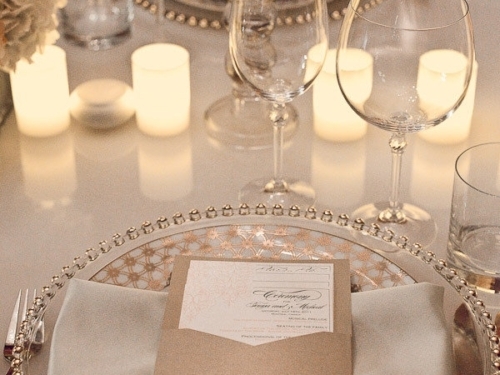 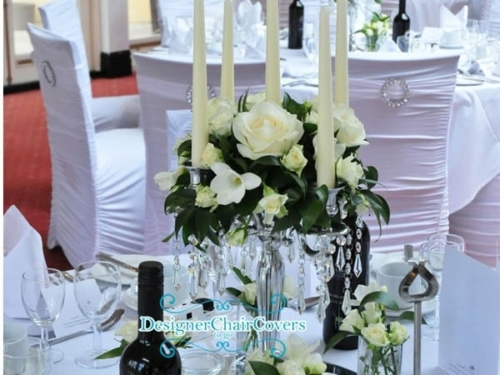 Table centrepieces have the ability to be as dramatic or as simple as you like and creativity is always loved. 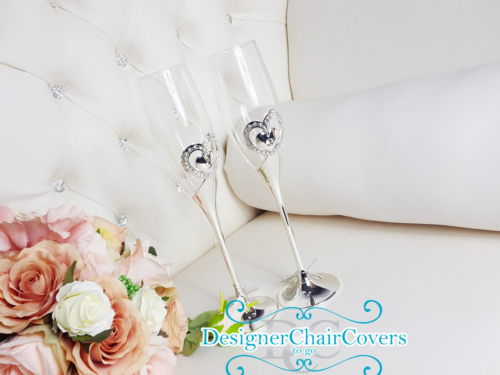 So view our collection below! 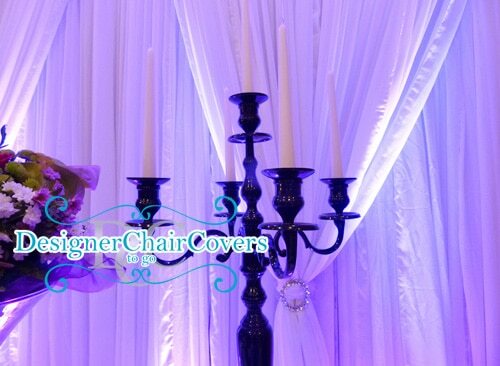 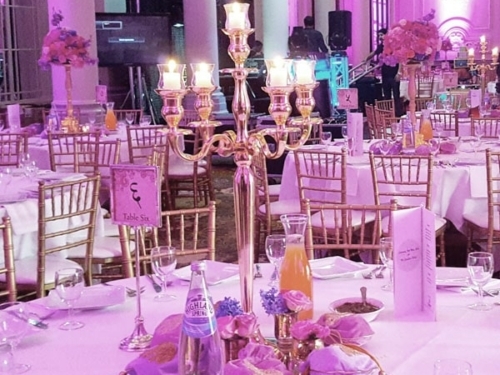 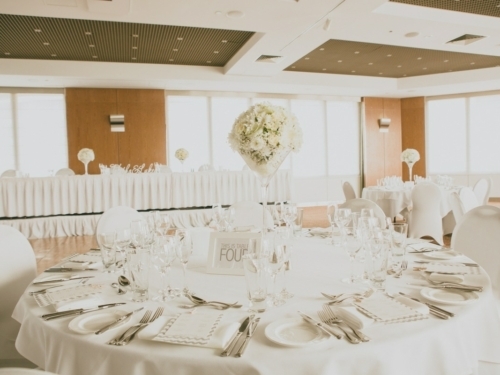 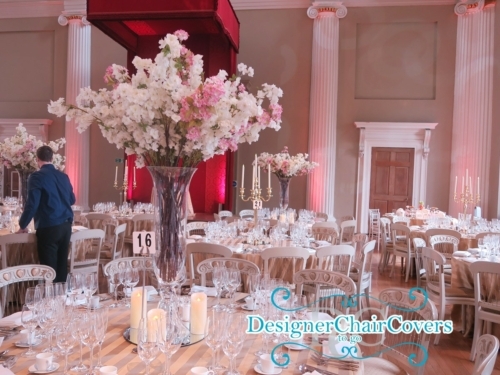 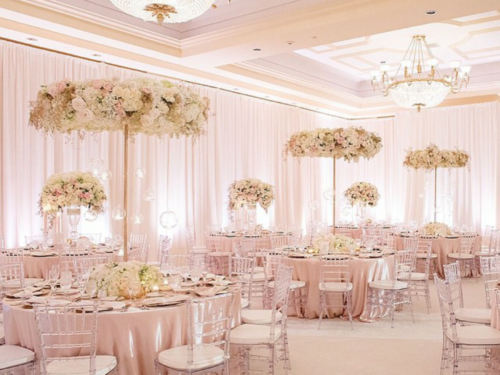 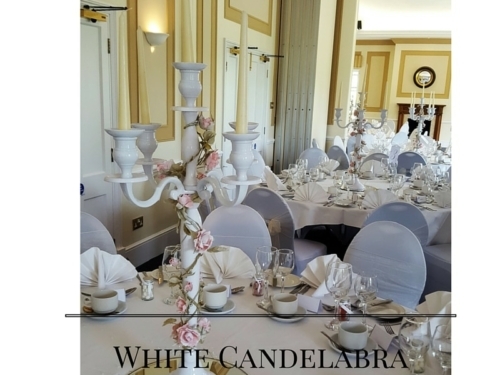 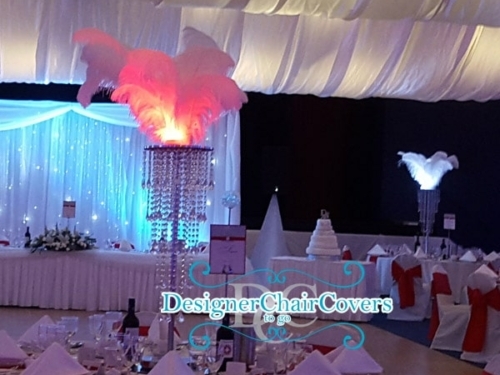 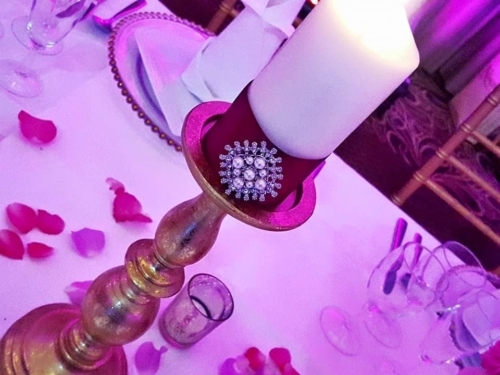 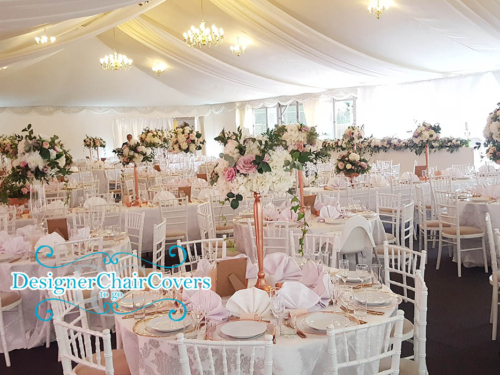 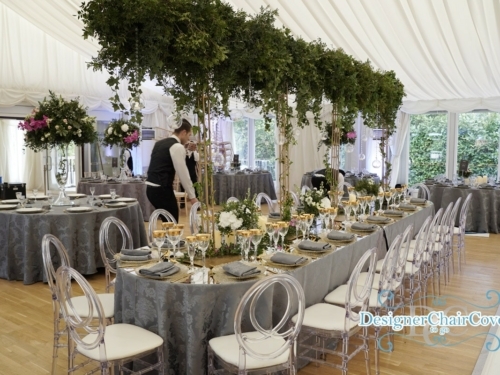 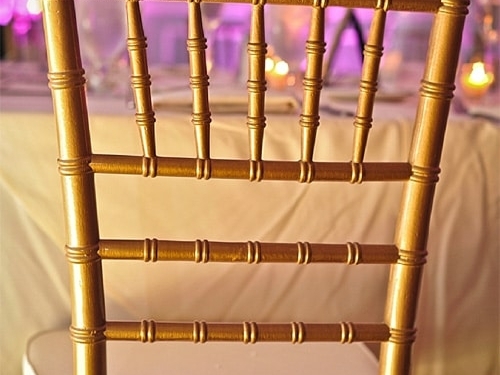 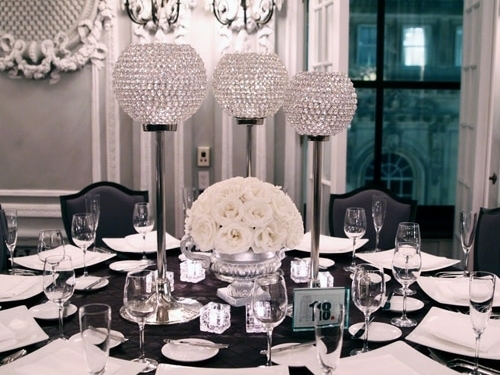 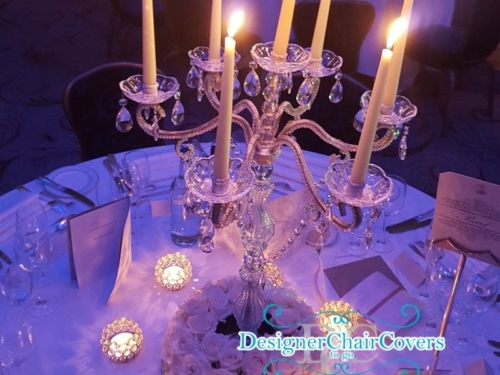 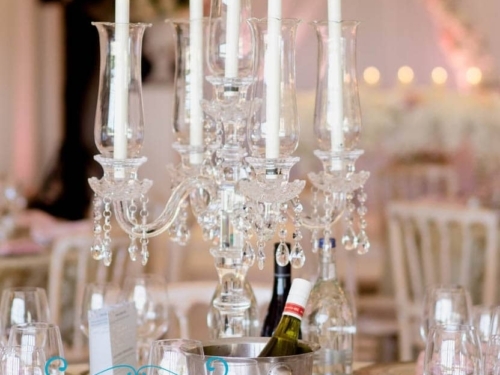 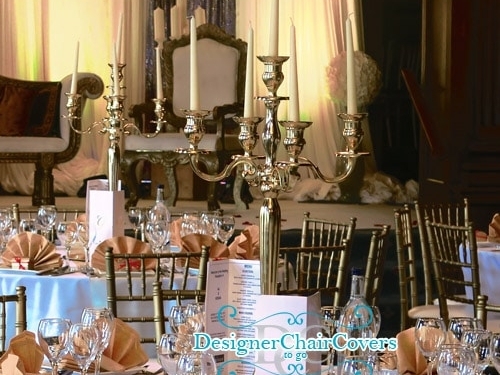 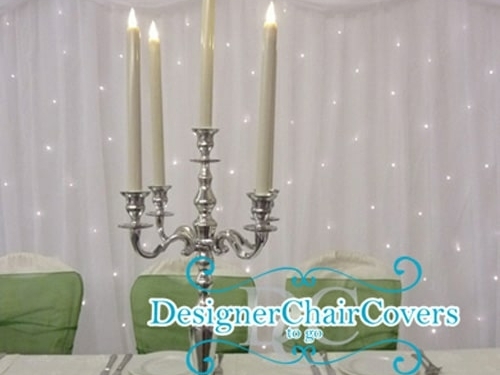 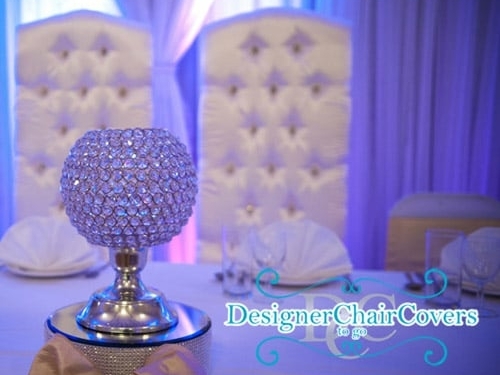 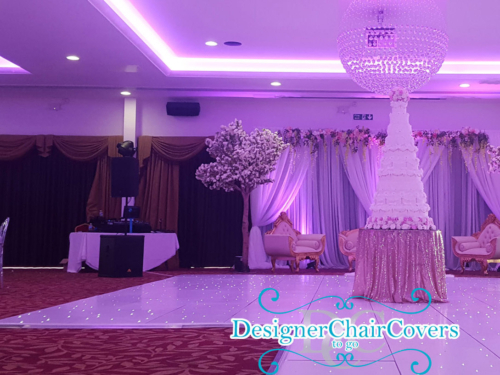 We have a wonderful selection of silver candelabras for hire in a variety of heights. 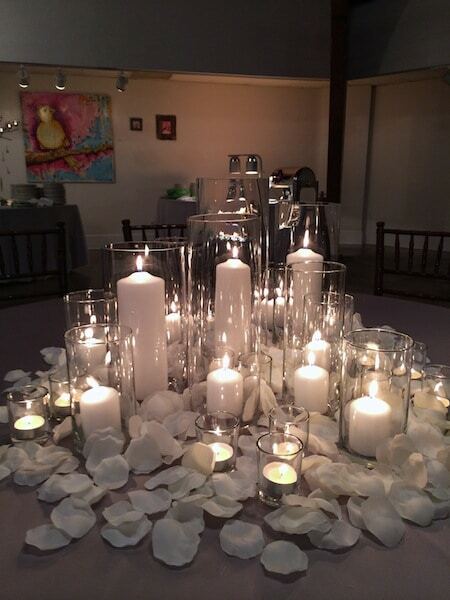 We have real or artificial candles. 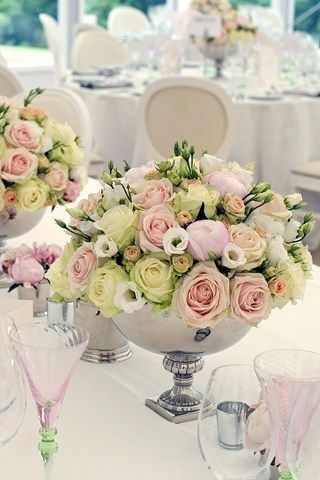 Add in the crystal or pearls for shabby chic look or flowers for a more traditional feel.